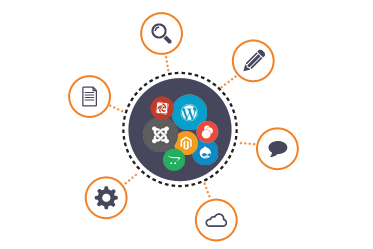 Global India Technologies has excellent and talented teams offering Open Source Customization. With our experienced designers and developers along with highly skilled graphic designers, we satisfy with the likes of each and every client of ours. We create specialized designs and templates with eye catching templates and skins integrate all the required installing modes. We also modify it later again according to clients necessities and likes. Our offerings are typically based on the Open Source based services with all the customization that include Portal Development, CMS Development and also other Shopping Cart Solutions. Why Global India Technologies for Open Source Customization? Our Open Source products offer careful analysis of the requirement to get the clear view and idea of the business necessities and objectives that to be achieved. We carefully carryout a proper research before choosing the perfect option that is available instead of simply offer you what we readily have with us utilizing Open Source Services. We assure quality that no other company can ever offer at such an efficient ways that too enabling you all the customization options. We identify the areas that are mostly required and focus more at those for highest stability that would never interrupt your business. Offers such as the custom product development that can be manipulated later on, high level of technical support throughout, opt the right technologies that you would ever require and maintenance all the way of your journey, are our specialities our clients might appreciate. Expertise we own in the custom product development with the proper use of Open Source Technologies has proved many times in the recent past and had manifold greatest success that left good remark for us. We commit with only high quality solutions for all your business needs with best cost-effective solutions with the most powerful options available in the market.